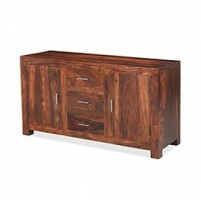 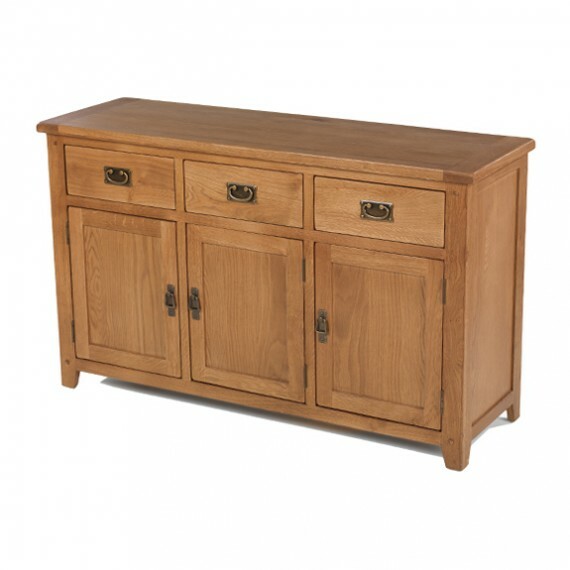 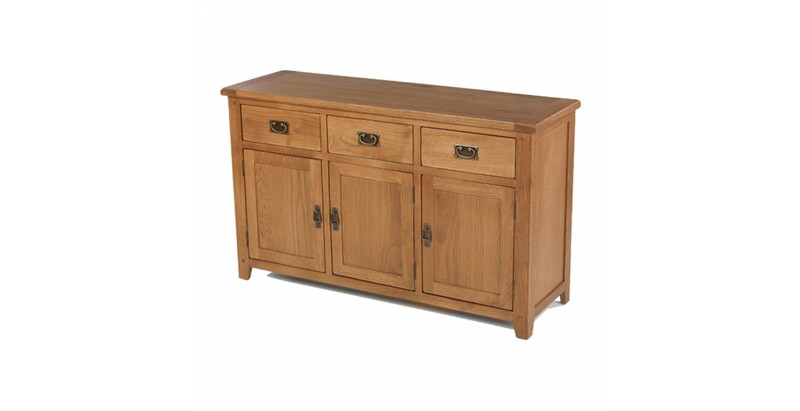 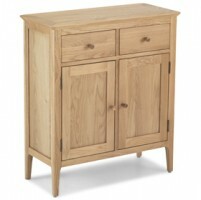 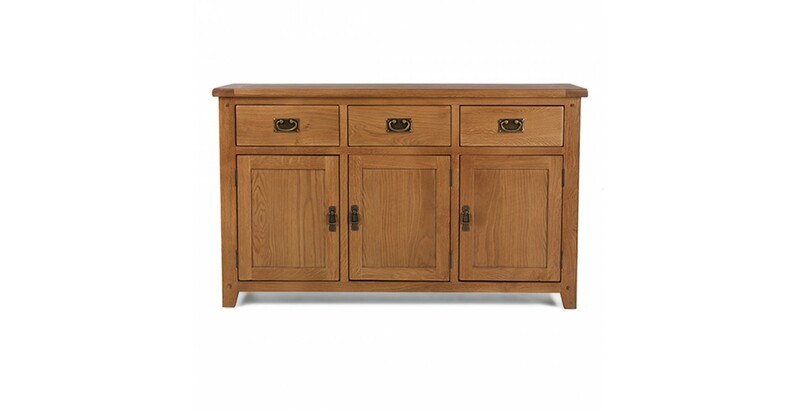 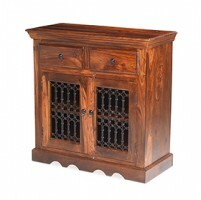 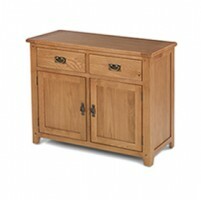 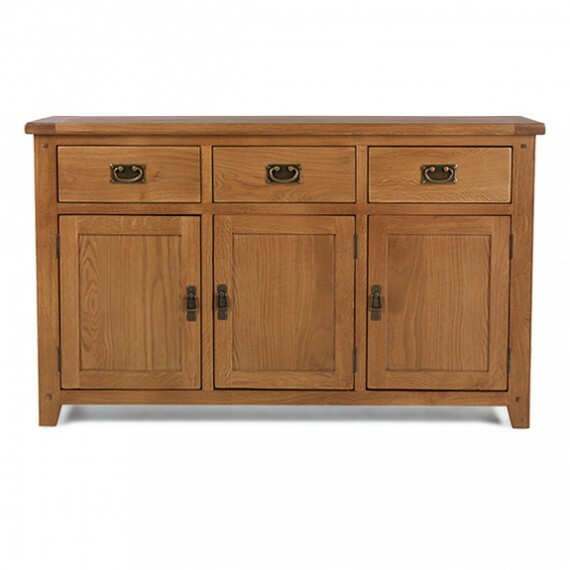 We think this generously proportioned sideboard is just the thing for a larger kitchen or dining room. 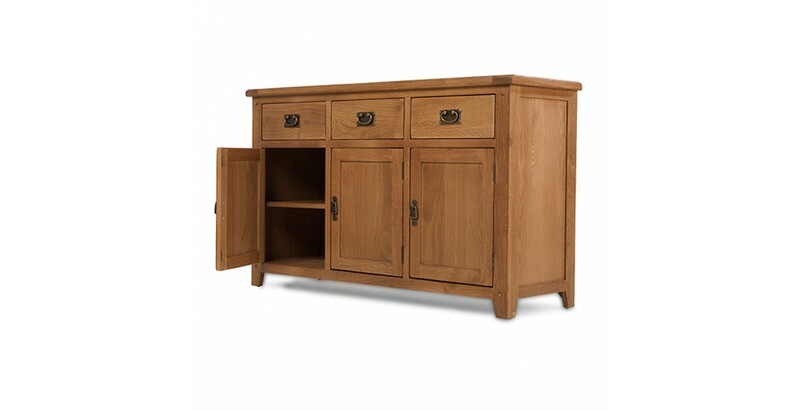 With a useful cupboard and shelf behind each of the three doors, there'll be no excuse for clutter as there's ample room for all your plates, tableware and glasses. 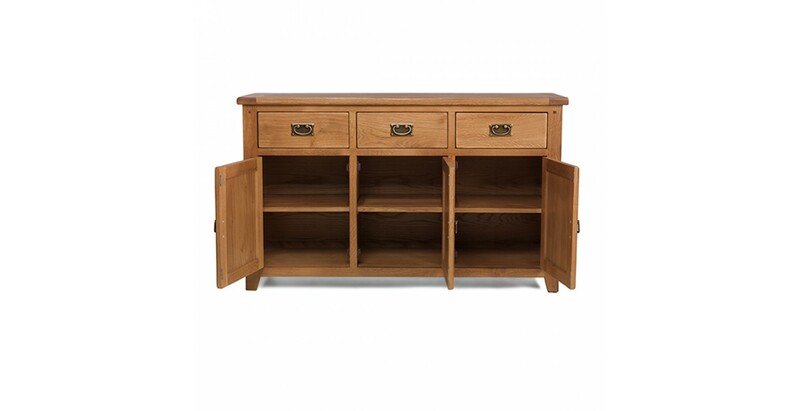 Three dovetailed drawers sit above to take care of cutlery, utensils and other small items – matches to light candles and napkin rings, that kind of thing, and each has a vintage-effect drop metal handle. 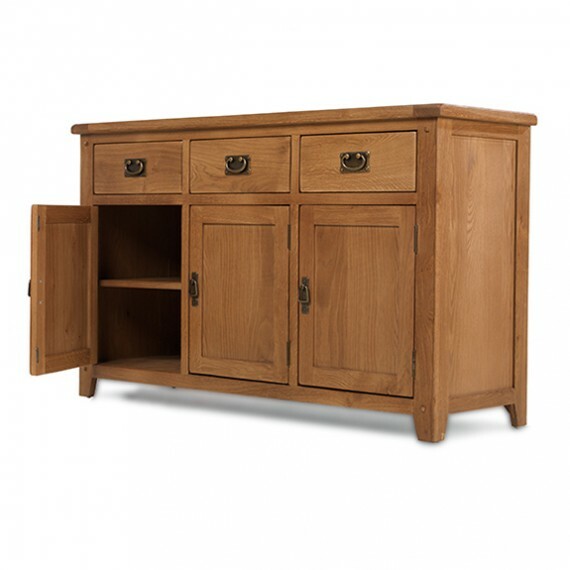 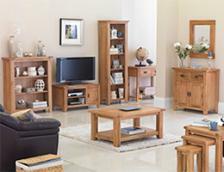 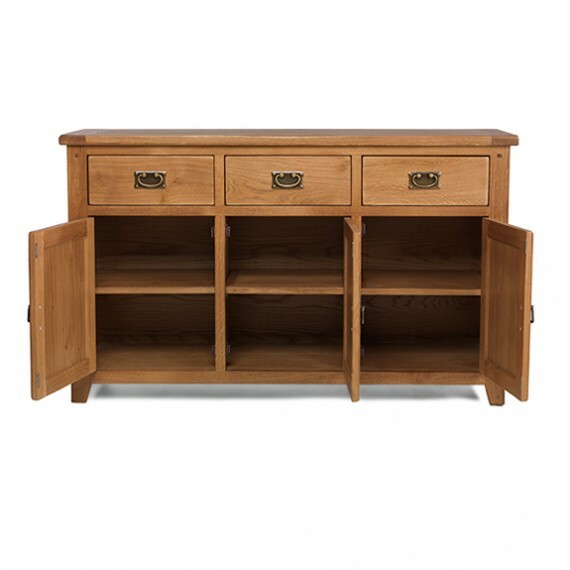 Beautifully made from oak, it has a thick top with rounded-off corners, peg detailing and a natural lacquer finish that highlights the gorgeous grain to perfection.